Why Comfortaire from Broyhill of Denver? When you come to our store, our main focus is to educate you on the importance of a good night’s sleep and comfort; not just sell a mattress. Our trained Comfortaire experts will help you understand the choices available so you can be sure you are making the selection that is best for you. Browse our selection of mattresses online then come into our store and we will help you. We are 100% committed to Comfortaire mattresses. We do not offer any other mattress brands because we believe in the quality of Comfortaire and the overall value it can add to your life. The right mattress can have positive effects on your overall health and wellbeing. The right mattress can improve sleep quality which can reduce fatigue and stress. The right mattress can also reduce muscle tension which can result in less muscle aches and pains. Most importantly the right mattress is all about your comfort. Finding the right mattress that is both comfortable and good for your health is the challenge. An air chamber mattress gives you the best of both worlds; comfort and support. 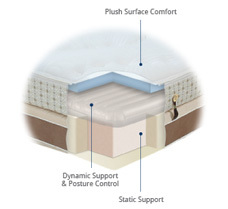 An air chamber mattress evenly contours to your body, reducing pressure points and providing even support. Too Firm A mattress too firm can leave areas of your body unsupported and increase pressure points which can leave you tossing and turning all night. Too Soft A mattress that is too soft may be comfortable but can also lead to the hammock effect; sinking into the mattress with no support which can result in muscle aches and pains. Just Right An air chamber mattress lets you adjust the volume of air in the mattress with the push of a button and find the perfect level of comfort that is not too firm or too soft. All while providing the support your body needs to rest well; the Goldie locks zone. 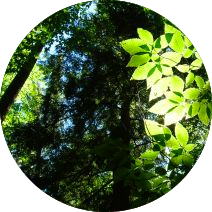 Comfortaire is committed to making sleep greener by using sustainable and natural products that are not only good for the environment but also your health. Many of Comfortaire foams replace a portion of petroleum based chemicals with the castor plant – a sustainable and renewable resource. Being green is part of what a Comfortaire mattress is that is why they are always seeking and developing sustainable-based foam. Comfortaire’s 100% bamboo mattress covers are completely sustainable and biodegradable.> Bamboo naturally thrives without the need for damaging chemicals or pesticides. Bamboo also has health benefits. Comfortaire’s bamboo covers promote air flow with their microscopic, mesh-like surface, keeping your body cool which promotes higher quality sleep. Bamboo is naturally resistant to pests, bacteria and fungi, which is ideal if you have allergies. It doesn’t stop there; bamboo is a natural deodorant so it always smells fresh and clean.